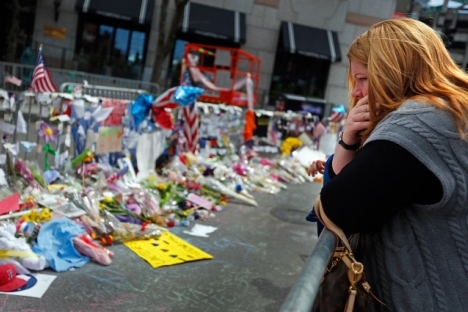 Many people have drawn parallels between the Boston bombings and the 9/11 attacks, but in fact this comparison merely shows how much has changed since then. The case of two ethnic Chechens suspected of planting bombs near the finish line of the Boston Marathon has perplexed many analysts. Since the 9/11 attacks, terrorism has been perceived as a global phenomenon. Few would be surprised if the Boston terrorists were clear-cut followers of radical Islam who were trying to oust the United States from Muslim countries or take revenge for its policies. The motive would be clear if the bombs had been planted by the extreme right, who hate the American state, especially under its current president. But this time the case is different. The Tsarnaev brothers, who had lived in the US for about 10 years, had no formal reasons to dislike America, a country that had given them shelter and education. They had no reason to seek revenge for the Middle East – they had no contacts there. Dzhokhar Tsarnaev said he was prompted to act by America’s wars in Iraq and Afghanistan, but this statement seems more like an attempt to come up with some justification than a real reason. This act of terror shows that the boundary between the external and the domestic, as well as the public and the individual, has disappeared. It is no longer clear how to combat extremism, and what should be done – and where – to prevent violence. Many people have drawn parallels between the Boston bombings and the 9/11 attacks, but in fact this comparison merely shows how much has changed since then. The attacks on New York and Washington 12 years ago facilitated changes in global policy that were already on the agenda. With the end of the Cold War, the United States remained the only de facto superpower. The 9/11 attacks demonstrated that US security was threatened from all sides. Hence, measures on averting it should embrace the whole world. In recent years, the United States has tried to formalize its status as a global leader. For some time, “international terrorism” occupied the vacuum created by the collapse of the USSR. It turned into the universal enemy. America decided to promote democracy as its ideology. As liberal wisdom has it, democracies are not dangerous for other democracies. However, democratization had to be enforced in places where there were no conditions for it to develop naturally, and there it met with mounting hostility and resistance. Moreover, it became clear that “international terrorism” is at best an umbrella term that covers phenomena of different origin and entirely different approaches. The US bid for global leadership under the slogan of a war on terror evoked overt or tacit resistance practically everywhere. The international system rejected the idea of one-country rule. This was the end of the model of what was essentially an imperial policy conducted by the George W. Bush administration. Under Barack Obama, talk of the war on terror has become a permanent feature. The elimination of Bin Laden allows Obama to reject all reproaches of having forgotten the victims of the 9/11 attacks. But otherwise, he has substantially departed from the tasks set out after those attacks. Suffice it to mention the cessation of the wars in Iraq and Afghanistan and an attempt to minimize the current crises (“backstage leadership” in Libya and indifference in Syria); reduction of military spending and presence where it does not seem vital; and sluggish support for democracy for the most part if changes are already in process or have taken place. This line has brought about criticism in the United States. However, Obama is convinced that, like other countries, today America should primarily deal with its own problems. The biggest problems originate from within, even if some external events serve as their catalyst. Obama’s reaction is only natural – how could young people who lived among us and were educated here do this? After 9/11, the United States proclaimed its intention to change the world and adapt it to its development needs. Now the approach is the reverse – to change itself so as to meet the challenges of the modern world. In the 12 years since the 9/11 attacks, Washington has realized that even the most powerful country in human history is unable to carry the burden of being world leader alone. There is no other country to shoulder part of this burden – those who could help are reluctant to do so and those who are willing are of little use. So, the best option is to sit and wait for further developments. The terrorist attack in Boston showed once again that in the modern world, the line of division does not pass between civilizations or religions, as some analysts predicted after the end of the Cold War. Tensions originate within societies. It is no accident that many commentators have started speaking about migration and social policies – it has been reported that the terrorists lived on welfare. In Europe, the problem of immigrants is long established, especially of the second generation who are losing their original identity without acquiring a new one in full measure. France, Britain and the Netherlands have long faced this problem. America believed its melting pot was doing its job. Outdated models of economic growth and social security, the growing gap between the rich and the poor, the conflict of generations, tensions between representatives of different cultures existing in one space and political polarization that does not generate any alternatives are typical of countries of any social and political system or ideological orientation – from the United States and Spain to Yemen and China. Terrorist attacks are far from being the reason for these manifestations – they are not even one of their main consequences. In this sense it would be pointless to put them in the centre of attention. Terrorism is returning to where it always has been – the realm of security services that are responsible for finding out about and preventing attacks. Politicians will have to deal with something quite different.